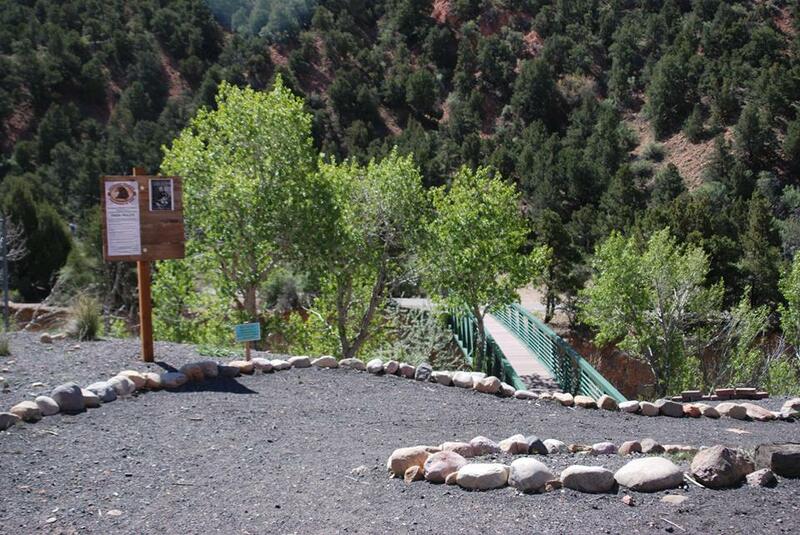 CEDAR CITY — Visitors to Cedar Canyon Nature Park and Coal Creek Trail may soon benefit from a new information and destination trailhead to be installed near the nature park campfire area, and not just because restrooms will be available. The trailhead would include an information kiosk and a men’s and women’s bathroom to be open all year equipped with electricity, heat and running water. The restrooms would comply with the guidelines of the Americans with Disabilities Act. The Southwest Wildlife Foundation, a non-profit wildlife rescue, wildlife and environmental education organization, is seeking $30,000 to help fund the project. Foundation secretary Nicole Shafer requested the donation at Wednesday’s Cedar City Council meeting. 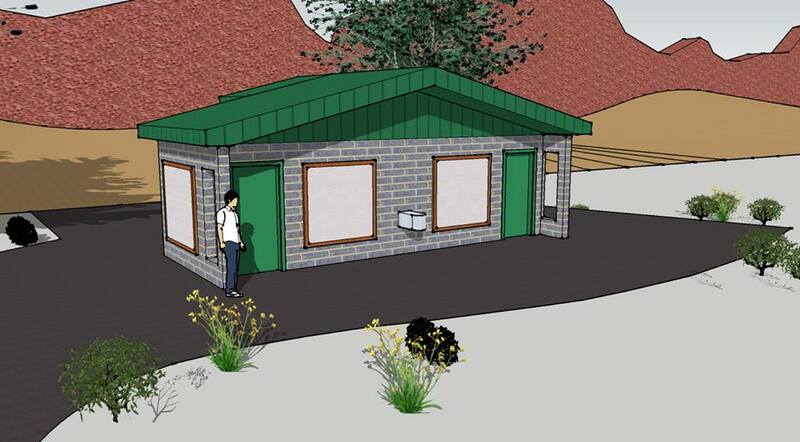 The bathrooms would be constructed on Southwest Wildlife property alongside the city trail and would include a storage facility for collaborative educational programs. In addition to the funding request, Shafer addressed several concerns council members expressed in August when they denied a request for the same amount to be taken from Recreation, Arts and Parks (RAP) tax funds. The RAP tax is a voter-approved, sales tax of one-tenth of one percent – equivalent to one penny for every $10. It is used to fund projects that bolster quality of life and tourism through the parks, recreational and arts programs in Cedar City. Questions about overflowing garbage at the nature park, responsibility of the daily and long-term maintenance and upkeep for the new restroom facility and snow removal were discussed. “What we found was that when people were traveling on Highway 14 there, they were stopping and using that trash receptacle (in the parking lot) to throw away their trash from their vehicles,” Shafer said, explaining that the problem was easily remedied by moving the garbage can out of the parking lot and closer to the trail. Shafer met with the Cedar City Rotary Club earlier in the week and has plans to approach the County Commission on Monday to ask for a donation, assuring city officials that the foundation is working hard to acquire the money from a variety of sources. The group found a staunch advocate in Councilman Fred Rowley who argued that helping the Southwest Wildlife Foundation find money to complete the trail head would be a great benefit to the city. Though the Cedar Canyon Nature Park is owned and operated by Southwest Wildlife Foundation, Cedar City has a permanent easement that allowed them to build the walking trail through the property. 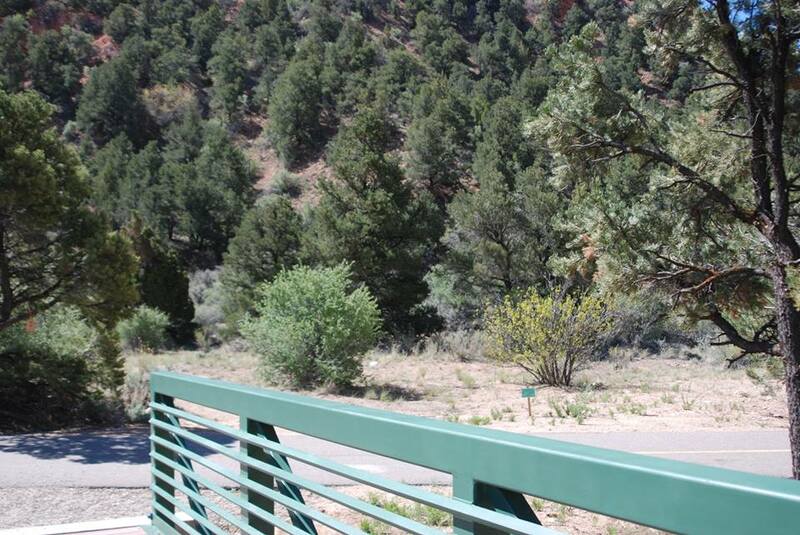 The walking trail currently has no restroom facilities that far up the canyon, he said, adding that he assumes the public must be relieving themselves in less than desirable areas along the trail if they can’t hold their bladder — or worse. Rowley said in his mind, the city is getting a public restroom facility for one-quarter of the price it would cost the city to build and without any of the maintenance, upkeep or supply costs that would go along with it. It remains to be seen whether Southwest Wildlife even qualifies to receive RAP tax funds, said Cedar City Attorney Paul Bittmenn. It has been his long-held position that because the nature park is privately owned by Southwest Wildlife and not the city, it is not an eligible entity based on RAP tax guidelines. Cedar City Mayor Maile Wilson showed her support for the trail head project in April by sending a letter to the Utah State Recreation Trails Program, supporting the Southwest Wildlife Foundation’s grant request for initial funding. It was suggested that the city look into using money gathered by the transient room tax, known as TRT, since there are fewer restrictions applied to that cache of funds than with the RAP tax. Cedar City Finance Director Jason Norris said in a phone interview later that those funds are already allocated through 2016 and nearly 70 percent of the 2017 budget is completed. Though there are not as many rules with TRT, Norris said, the money is currently earmarked via ordinance to fund events that will bring more tourists to the community. One way or another, Norris said he is confident the city will make some effort to help move the project along.